Fitness isn’t about running endless laps on a treadmill. It’s about feeling good about your body and giving your mind the energy needed to be your best. 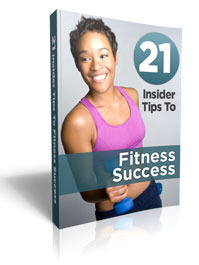 Join Mychael Shannon for a comprehensive, exciting approach to fitness. You’ll work harder than you’ve ever worked and feel better than you’ve ever felt. That’s our Fit Club promise. Fit Club Beach Boot Camps are a revolutionary way to achieve a healthy lifestyle. Not only are they COMPLETELY FREE to our community, but through our proven workouts, nutrition education and positive motivation every step of the way, you will look and feel your best. Because being healthy is not about a quick fix; It’s about transforming your body and your thinking. The backbone of our program, these free “community service” boot camps offer intense, exciting workouts. And there’s no need for camouflage or yelling, because we provide proven results. Our programs, which are suitable for all ability levels, incorporate fun and innovative functional training on the beautiful beaches of Santa Monica. We concentrate on preventing injuries by strengthening core muscles and improving balance. Proper nutrition is essential to fuel your body and your mind. That’s why our Fit Club program offers comprehensive nutrition education and meal planning. Our experts can guide you in choosing the right foods and planning your diet to reach your health goals. Our knowledgeable, experienced instructors take a personal interest in your and your goals. And what sets our program apart is they don’t just coach you during a one-hour class. They are there whenever you need them, to guide you, motivate you, and celebrate your successes. Fit Club Boot Camps are FREE to our community and take place Tuesday/Thursday 8:30am & 9:00 Sunday. Mychael also teaches a boot camp M/W/F mornings (for a fee) in Marina del Rey. Contact us today to begin your transformation, body and mind!